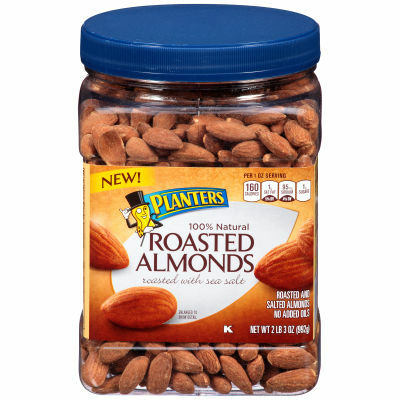 Dry roasted without the use of oil, these almonds come straight from Planters farms in this large 35 oz. jar. - These fresh, crunchy almonds are unpeeled leaving you to experience the delectable taste of the entire almond. Roasted with sea salt, these almonds satisfy your mid-day snack cravings and deliver a delicious taste in every bite.